At VIP TINTERS PLUS ALARMS in Houston, Texas, we provide quality paint protection film that offers the ultimate defense against road hazards, while providing UV protection for your vehicle's paint job. 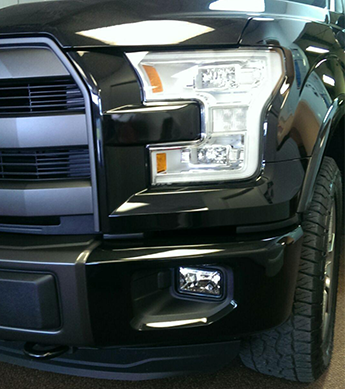 Our paint protection film is invisible and durable and is installed by factory-trained and qualified technicians. We also offer safety and security films for residential and commercial homes and businesses. We offer SunTek Paint Protection Film™ as a clear, invisible bra solution that preserves automotive paint without anyone even knowing it's there. It also goes on so clear that your vehicle's paint job will still shine through. Designed to protect against small road debris, nicks, and insects, it's the best option for keeping your vehicle looking like new. SunTek products are made to stand up to the wear and tear of time. It will not yellow like other brands and won't leave behind any damaging effects on your vehicle's paint job should you decide to remove it.